It seems odd that you can take such simple materials as clay-soil, sand and straw and shape such strong and beautiful structures with it. But that is exactly what you will discover during this earthen building primer. 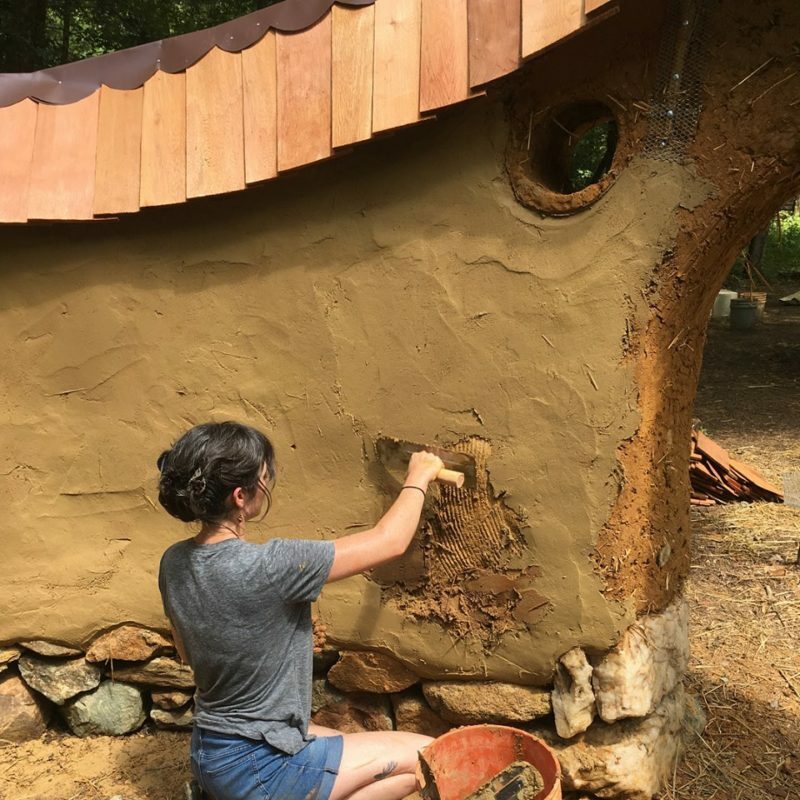 After these 5 days you will understand how earthen building works in all of its beautiful possibilities and be able to start building in your own backyard. discover the joys finding and mixing your own building materials and turning them into strong, structural walls. learn how to build niches and arches, integrate art and bottles into the wall and how to protect them from the rain. 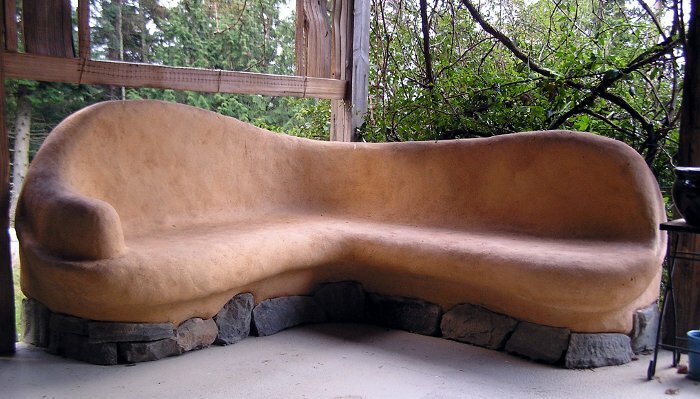 learn how to make and apply earthen plasters to any surface area, including drywall! Find out how easy it is to pour an earthen floor! 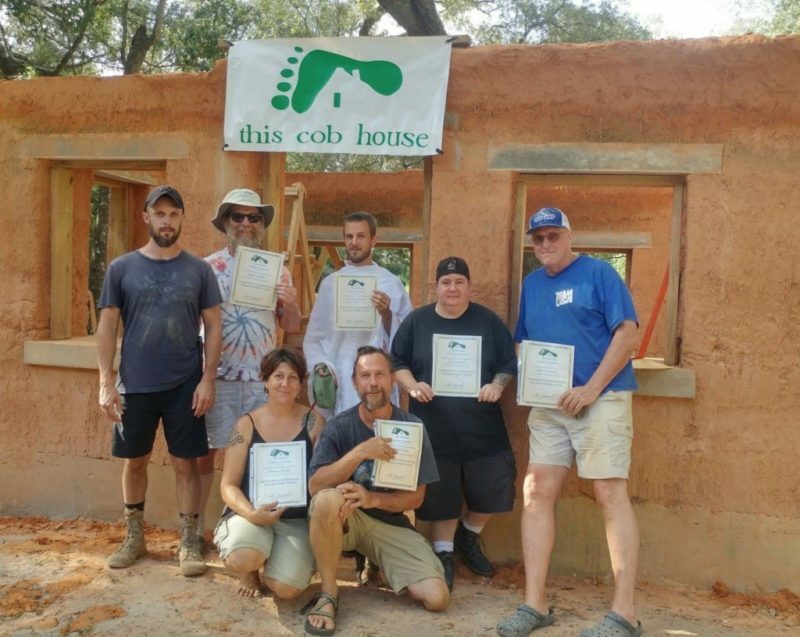 If you are curious about how earthen building can fit into your life, this is the workshop for you. Plenty of time will be dedicated to answering your questions about possibilities, code, design and cost. This workshop takes place at a simple yoga retreat center, just 30 minutes outside Santa Fe, a hot spot for earthen construction lovers! The quiet valey provides stunning views of the surrounding mountains. Our hosts are yoga and chi gung teachers and will offer optional (easy going!) sessions before breakfast. Delicious vegetarian meals will be provided, with options for vegans as well. The weather this time of the year is mild, sunny and beautiful, with temperatures from the low 70’s during the day to the mid 40’s at night. If you are flying from out of town, it’s best (most economical) to fly into Albuquerque and then take a bus or train into Santa Fe. We can arrange car pools from there or come and pick you up.